Steaming your crab catch is one of the easiest and tastiest ways to cook your catch. This recipe calls for blue crabs as the main ingredient and a healthy dose of Old Bay seasoning. Try on this lip-smacking recipe that will serve you and your whole family (up to 6 servings). 1. 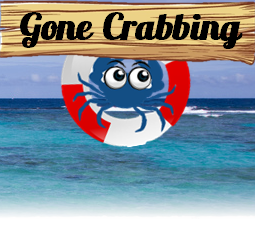 Take care and wash the crabs thoroughly before cooking. 2. Right before cooking, carefully place each crab upside down and stick a knife through the shell, just behind mouth. Puncturing the shell will help the steam cook the inside of the crab and also helps give it some more flavor. 3. Combine 1/2 cup seafood seasoning, salt, beer, and vinegar in a large stockpot over high heat. It is important to stir the mixture well so that the flavors are mixed and fused. Bring to a strong simmer. 4. If you don’t have a steamer, fit a cooking/steaming screen over the beer mixture and layer the crabs on the screen. Be sure that the crabs are above the simmering liquid. Cover. 5. Steam crabs until they turn bright orange and all of the blue/green color is gone. This will take approximately 20 to 30 minutes. Sprinkle with the remaining 1/4 cup seafood seasoning before serving. My grandma makes these with spaghetti – makes an incredible combination. Nothing better than a huge feast after a great catch.